I don’t know what to say about this book. I read it very quickly. You might say I inhaled it. But I can’t tell you much about the plot because the author and publisher are very keen that I not do so. So what can I tell you? Some people love the writing style and some hate it. It’s a young adult novel but it’s not a light read by any means. It’s very intense and twisty. But it’s very, very good. I think maybe you should read it. 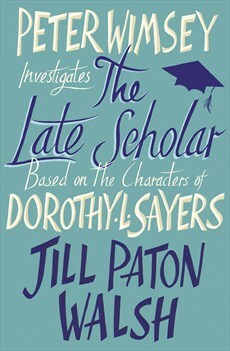 This is the latest of Jill Paton Walsh’s novels extending the story of Lord and Lady Peter Wimsey beyond the novels of their creator, Dorothy L. Sayers. Everything I’ve said about previous novels in this series applies here as well: The Late Scholar is enjoyable to read and well-written, but nobody can really capture Lord Peter and Harriet the way Sayers could. I think it’s actually much harder for anyone to write new Lord Peter stories than it is for, say, writers like Laurie R. King or the writers of TV’s Sherlock to come up with new twists on Sherlock Holmes, because I think Lord Peter Wimsey, much more than Holmes and more than most fictional characters, is so completely defined by language. The way Dorothy Sayers wrote Lord Peter Wimsey (and the other characters, but especially Lord Peter) IS who Lord Peter Wimsey is — his language (which is, of course, her language) cannot be separated from the character. Paton Walsh does a good imitation of Sayers’ style — better than most writers could do, I’m sure — but you can tell it’s a different writer and so the characters always feel subtly different. So if you’re a Wimsey fan and you haven’t read any of the Paton Walsh novels yet, by all means, do read them — it’s fun to revisit these old characters in a new era, now that Harriet is middle-aged, Peter is verging on elderly, their children are growing up (some lovely scenes with their sons in this novel), and Lord Peter is dealing with the responsibility he always dreaded — being Duke of Denver. The mystery itself is moderately interesting (I always have to confess when I review mysteries that I’m not really a serious mystery reader; often I have trouble following the plot and figuring out whether it’s very cleverly laid-out or just confusing), and the setting is great because the characters are back at Oxford as they were in my favourite Sayers book, Gaudy Night. So, I recommend this one, but with the usual caveats. I’ve decided one of the things I want to do this year is to read more literature by writers from countries other than Canada, the US, and the UK. 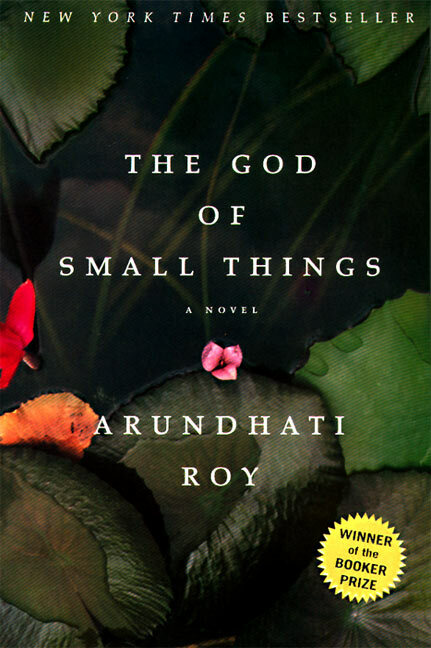 India is an easy choice for me because I’m so fascinated with the country, and I’d often heard of Arundhati Roy’s novel The God of Small Things, so I decided to start here. And it was certainly an interesting place to start. I’m still not sure what to say about this novel. It is certainly very beautifully written and very intriguing. The setting is one that’s unfamiliar to me — it’s set in Kerala, India, mostly in the late 1960s (though a portion of it takes place many years later), among a community of Syrian Christians — a group whose existence I knew of but didn’t know a lot about. 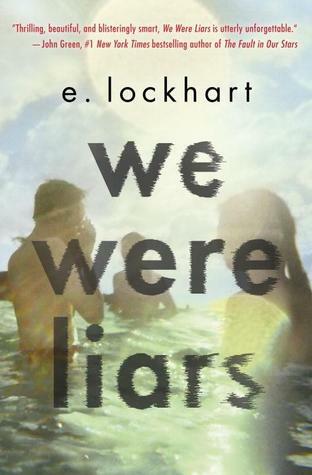 The story centres around a pair of twins, Rachel and Esthappen, whose already fractured family is torn apart because of an illicit love affair that ends in tragedy. Caste divisions are at the heart of this conflict, and the story provides a searing glimpse into the unintended consequences of what should be an act of love. It’s very absorbing, but also sad and disturbing, and the ending was particularly troubling. Rather than giving the closure one might hope for after the terrible events of Rachel’s and Esthappen’s childhood, the modern-day framing story closes with a scene that is just as troubling as what has gone before — leaving the reader with the feeling that the bleak history of this family is not going to take a more positive turn anytime soon. And that’s probably very realistic — but you won’t find much hopeful “triumph of the human spirit” here. What you will find is beautiful writing, vividly drawn characters, and a haunting account of a tragedy that, without human prejudice, would never have needed to happen.